Former Sussex batsman Murray Goodwin has been appointed as the club’s new batting coach for 2016, following a recent recruitment process that attracted a strong group of candidates with international as well as domestic experience. The 43-year-old needs no introduction to Sussex supporters, having spent 12 seasons with the club as a player. He was a key part of the Sussex team from the ‘Golden Decade’, which won the County Championship in 2003, 2006, and 2007, the C & G Trophy in 2006, and the Pro40 in 2008 and 2009, along with the Twenty20 Cup – also in 2009 – to complete a full sweep. Goodwin scored more than 24,000 runs for Sussex in all formats, including nearly 14,500 first-class runs with 48 centuries and an average approaching 50. He made two triple centuries, as well as scoring the runs which won the County’s first Championship in 2003, and hit a six off the final ball of the match to secure the 2008 Pro40. Goodwin, who was confirmed as a Vice-President of Sussex Cricket in early 2015, said of his new appointment, “I believe I can bring to a very talented squad some belief and options on playing certain situations in all forms of the game. I’m hoping to try and add a winning culture to this talented squad. Sussex’s Head Coach Mark Davis said, “I am thrilled to have Murray joining us. His vast batting experience, gained from many years of first-class and International cricket all over the world, will be invaluable to Sussex Cricket. 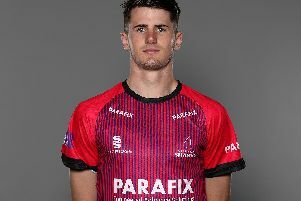 I am confident Murray’s relentless approach to batting and his technical expertise will be of great value throughout the Sussex Cricket pathway. With Mark Davis being confirmed as Head Coach last year and Keith Greenfield appointed Director of Cricket in January, Carl Hopkinson, as announced in January, has assumed the role of Sussex’s Academy Director in light of Keith’s appointment.